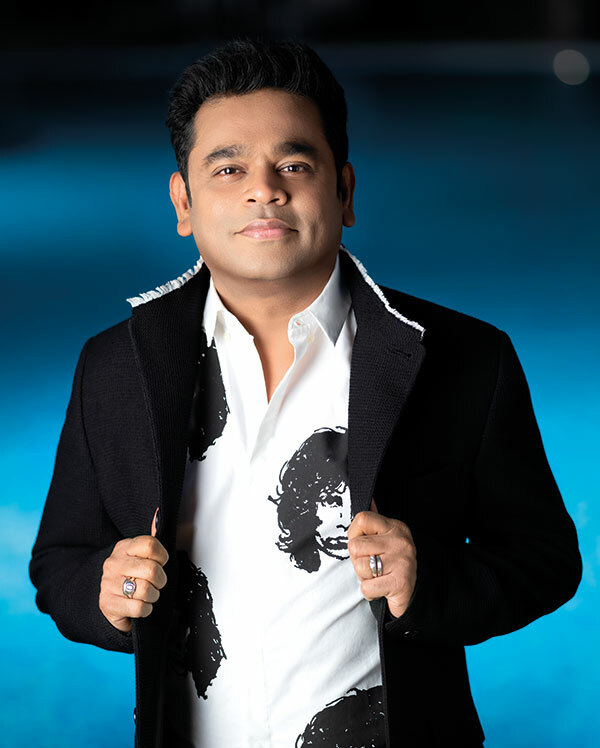 Shirt, jacket, trousers, ring, all Rahman’s own. His home in Chennai is a quiet hub — undisturbed behind its gates even though cars regularly drive past it in a narrow lane. 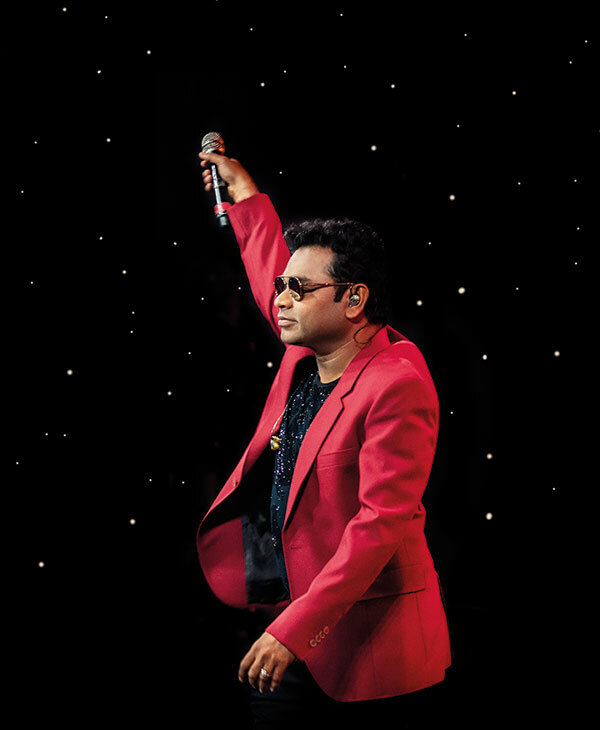 The bungalow that houses both his residence and his workspace, in different wings, bears ample evidence of the personality of its owner, A. R. Rahman. On a glass door I spot a translucent design of music notes. In the rooms inside, a piano occupies pride of place — as do a variety of other musical equipment. Since he grabbed the spotlight with Roja (1992) his versatility across diverse forms and languages was quickly established, and film critics soon learned that it is well-nigh impossible to box the man’s genius, though initially he was referred to as Mr Synthesiser. This was largely due to the fact that he was talked about primarily for his use of ‘computer music’. 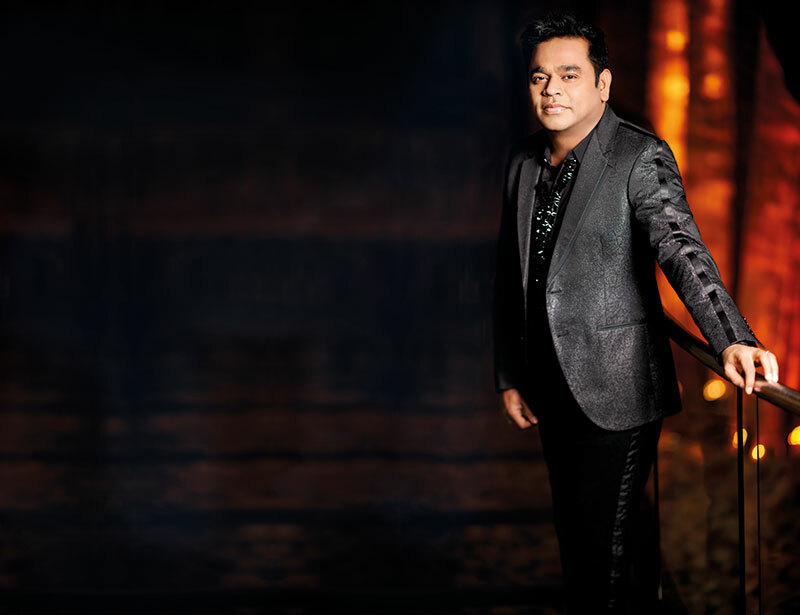 His melodic rhythms soon wooed not just India but the world as well; as the man from Madras (now Chennai) reinvented the art of creating tunes, merging melody with technology. 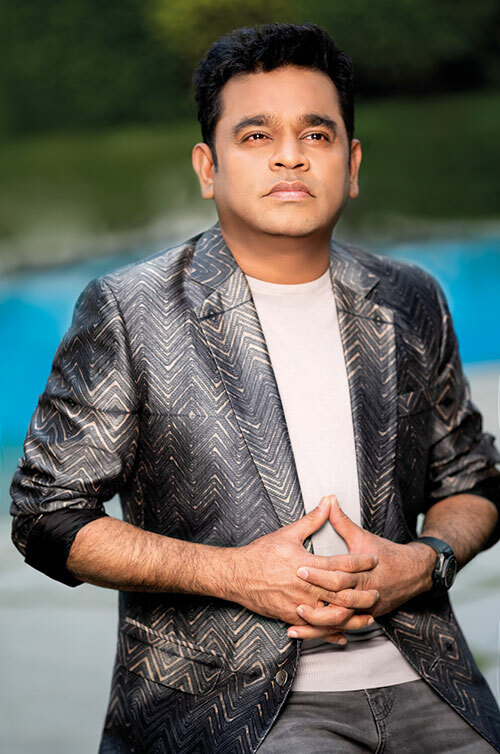 But, while embracing the new, he also absorbed age-old traditions and creatively used a variety of sounds — the voices of old ladies, folk artistes and children, different choruses, jungle rhythms, orchestral arrangements and waltz scores — in his songs with equal impact. Knit jumper, from Massimo Dutti; shibori silk jacket, by Rohit Bal; jeans, from Levi’s; Classic Fusion Aerofusion Chronograph Orlinski All Black wristwatch, from Hublot. Jacket, shirt, both by Rajesh Pratap Singh. As I leave, I spot him walking into the room behind the translucent door — all set to interact with the children who’ve come for lessons. The night is still young for the maestro!